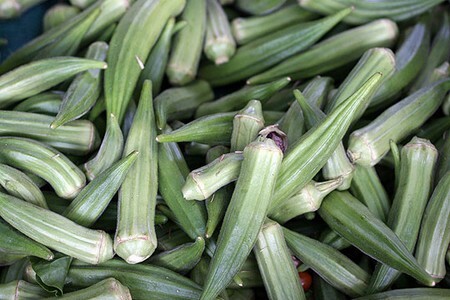 Okra is a southern cuisine favorite. Some people love the texture and taste of okra, but for some it may take some getting used to. Fresh okra is easy to store and freeze. If you are going to freeze some fresh okra, do several things first. It needs to be washed and the stems need to be removed. Then you can freeze it. Here are the full details on how you can freeze fresh okra so that it will last in the freezer for a longer period of time. This is how you can extend the freshness of okra with freezing. If done correctly, they can last up to 9 months in a regular freezer and all the way up to a year and two months in a deep freezer environment. Read on for more information. When picking Okra you want a soft green piece. You also want to choose the ones with small amounts of brown as possible. There should be no marks on the veggie if possible. Put the okra inside a strainer and wash with cold water. Part the pods into 4 inch, below 4 inch and above 4 inch categories. Remove the stems from the Okra. The ends of the vegetable should be sliced off with a kitchen knife. Do not cut into the seed part. Add water to a pot until it is 2/3 full. Allow the water to boil. Prepare a big bowl of ice and water for later use. Blanch the small okra pod in the pot for 3 minutes. Put the small okra pods into the pot and put the top on. Boil it for exactly 3 minutes. Remove the small okra pods with a slotted spoon. Now put the large pods into the water for 4 minutes. Put the okra into a strainer out of the ice slurry. Drain them for 2 or 3 minutes. The okar pods them go into a ziplock bag. Eliminate air. Place in freezer. If you know that you do not want to freeze the fresh okra immediately, then plan to refrigerate them in the man time. The okra should not be allowed to sit for more than a half an hour after the stem has been taken off. The vegetable will begin to change colors.